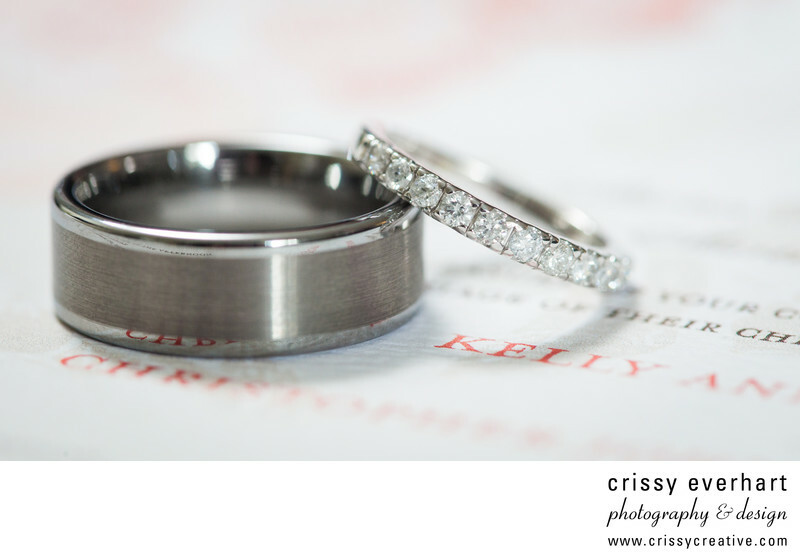 Macro image of wedding bands on the invitation. Color scheme is salmon and pink, and the rings are tungsten and white gold with diamonds. This wedding took place at Saint Agnes Catholic Church in West Chester and the reception was at the French Creek Golf Club in Elverson, PA. Location: 4500 Conestoga Rd, Elverson, PA 19520.